Undeniably, it is frustrating shopping for hours and coming home with nothing but an ill-fitting top that you bought on sale and will probably never wear. Unintelligent shopping is something we are all guilty of and it can be hard to break the habit. Let us get to the core of your shopping challenges and turn them around into a successful wardrobe you will wear 100%. 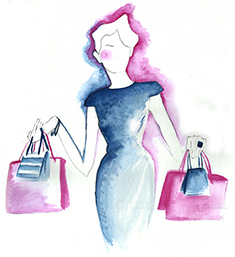 Private shopping for women is perfect for every stage of their life, they might be a new mum, or have gained or lost weight, are having a change of lifestyle or find it challenging to dress their shape, going on a date, or sometimes women simply get too busy with life and need some time to themselves. Wearing the perfect colours is one major step in achieving your ideal look. The right colours can make you look more vibrant, modern and confident. Discover how to identify and introduce the correct colour palette in your wardrobe. This consultation includes your own personal colour swatch. Your personal stylist will go through your wardrobe and fine-tune the content. Put a stop to buying clothes, shoes and accessories that you never wear, and cleanse your wardrobe of dated and unflattering items. 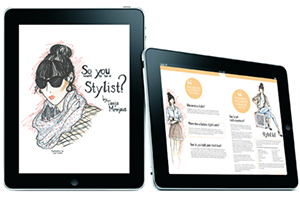 Get instant advice on how to best organise and manage your wardrobe and create your best personal style. Accompanied by your personal stylist whilst shopping, you will be provided with professional advice on what looks suit you best; and work within your budget. Learn how to select clothes and accessories instantly. We are happy to organise a group style session for you. Please contact id couture about group bookings queries. Enjoy an exciting shopping tour in London, Melbourne or Brisbane with your personal stylist. Enjoy all the best shopping finds and the city’s hidden treasures. Do it on your own or with a group of your best friends. A personalised service that provides gift shopping for when you don’t have the time or any idea on what to get someone for those special dates, occasions or events. No matter how big or small the budget, our personal shoppers will find that perfect gift. After a quick consultation, we will research, source, purchase and even package, to ensure that we have found the perfect gift for whoever it is that you’re buying for. It can be as little as that one gift for a special occasion or it could be multiple presents for the festive season or corporate clients and staff. All of our listed services are available as gift options. Please contact id couture to customise your ideal gift package. If you have any questions and a quote about the above services, or if you require a style session that is not listed above, please click the enquire now button below.